The furniture styles listed below have been popular choices for many years. Primarily because the designs are timeless, recognizable and work well in virtually any room arrangement, eclectic or otherwise. 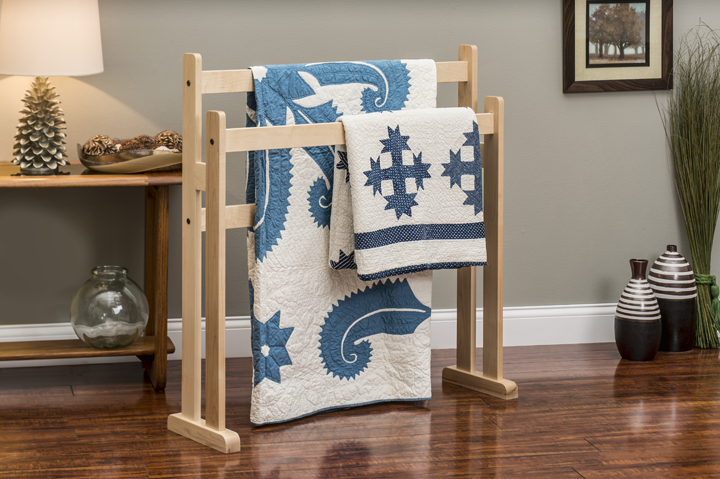 Other less popular styles exists, such as Transitional, Cottage, Rustic and Southwestern. As we develop new products, we will focus on styles that are appropriate and trending both in design, and color. Mission style furniture is based upon the idea that simplicity in both design and material will allow the quality of the craftsmanship to shine through. This style of furniture is organic and straight-lined without curves or ornamentation. The pieces are bold, solid and heavy, made traditionally with Quarter Sawn White Oak, ammonia fumed to shades of brown. We offer our Mission products in the traditional wood and color choices using today's finishing technology, but other woods and finishes are available as well. This allows the style to transition from old to new, easily transitioning into a Southwestern environment because of its organic design and size. 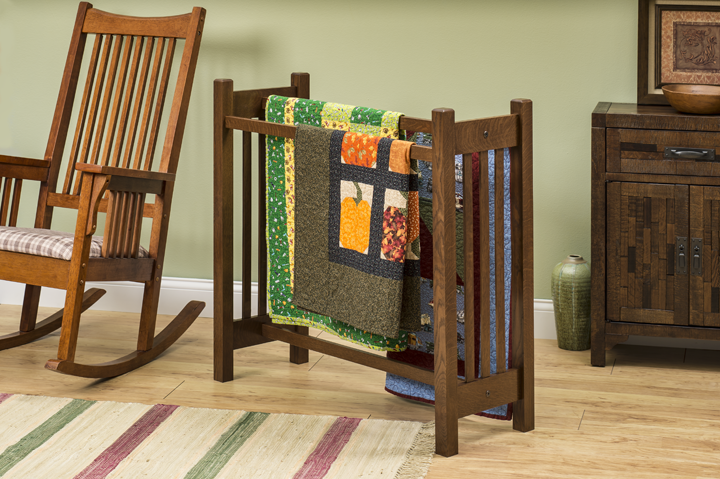 Plainness, practicality and pride describe the Shaker style of furniture. Readily available local timber such as Maple and Poplar were commonly used in their construction. Shaker furniture is often seen in warm organic reds, blues, yellows and greens and is sometimes left natural. We offer it that way, but have expanded the wood and finish choices to better augment the colors and textures of your quilts. Shaker style furniture transitions well into cottage style when finished in a solid color, especially white. Clean, gently rounded or rectilinear features are common in this style of furniture. 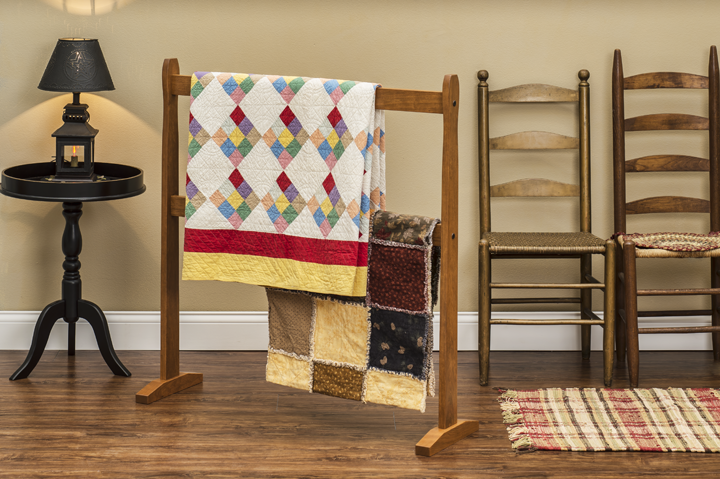 Contemporary furniture works well with any room style you may now have, and when combined with your colorful quilt, will bring sharp focus to your work. A myriad of woods and finish choices make this a poplar style, effective in any setting.